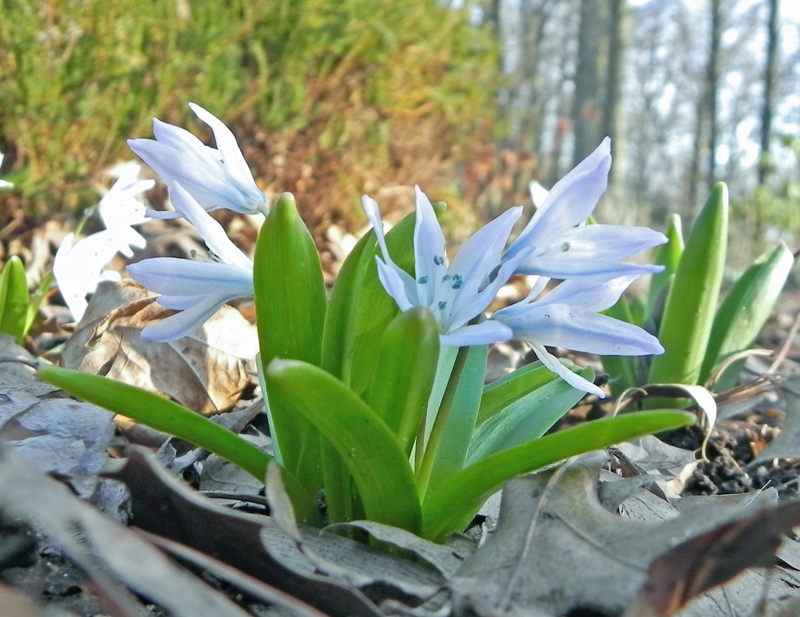 Petal Talk: These bulbs light up the garden! These bulbs light up the garden! For the second day in a row, temperatures are supposed to reach near 80 degrees. And it's mid-March, for pity's sake! So as far as I know these giant crocus have finished blooming, having succumbed to the ravishes of unseasonable heat and humidity. 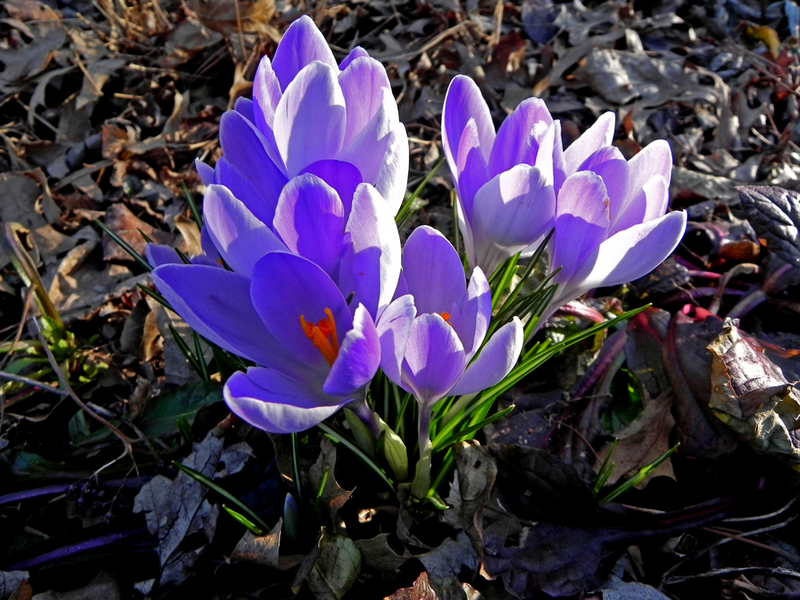 The crocus are the giant types, which typical bloom a bit later than the tommies and other species. But all bets are pretty much off because of the time-lapse weather sequence that went from 40s to near 80s in a matter of days. But that's the great thing about gardening - no matter how long you've been doing it, no two years are alike. 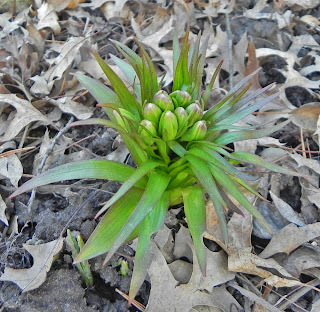 Puschkinia, or striped squill, is a tiny plant that takes a big group to make an impact. I think I planted a dozen a couple of years ago and am thinking they'd look great with aforementioned giant crocus. These early daffs are only around 10" tall. It's hard to get a good shot of Puschkinia because they're so tiny. 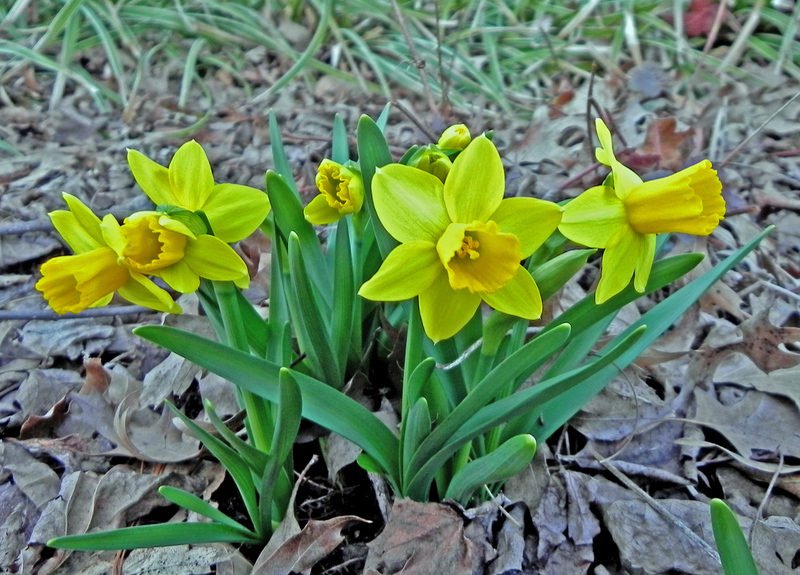 But they add a nice cool hint of color to balance the bright yellows of the early daffodils. In the "almost missed it" category, Fritillaria raddeana seems to be growing taller before my eyes. I'll keep you updated on the progress of this unusual frittilaria. If there is one thing I've learned at this time of year it's that I have to place an order for spring blooming bulbs now before I forget. 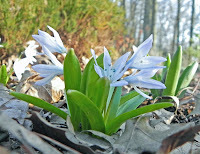 Otherwise, I'll spend next spring as I'm spending this spring--wishing I'd planted more bulbs... Enjoy!